Accra Hearts of Oak have completed their second major deal in just a week after signing Kim Grant as their new Director of football and first team coach - they have signed a three year agreement with English kit giants, UMBRO. Hearts on moday, annouced that, they are the latest to join the join an exclusive list of clubs including Everton, Huddersfield Town, Werder Bremen, FC Nürnberg as well as Al Ahly and Esperance de Tunis who are being kitted by the English sportswear and football equipment supplier. "The brands were seemingly meant to be together as they can both trace history back to Manchester, UK in the early 1900’s. When Hearts of Oak launched its first-ever rainbow kits in 1917, they were sourced from a manufacturer in the famed English city. These rainbow colours have become synonymous with the “Phobia” over the years, creating one of the most unique and recognisable club identities on the Continent. Umbro, of course, was founded in the outskirts of Manchester in 1924, and has since grown in to one of the world’s leading football brands. "As part of the partnership, Umbro will be the exclusive global technical partnerof the Club,supplying the Hearts playing squad with best-in-class authentic competition wear, training apparel and equipment, off field apparel, footwear and luggage. Umbro will also supply the technical and management staff with Hearts’ branded apparel. 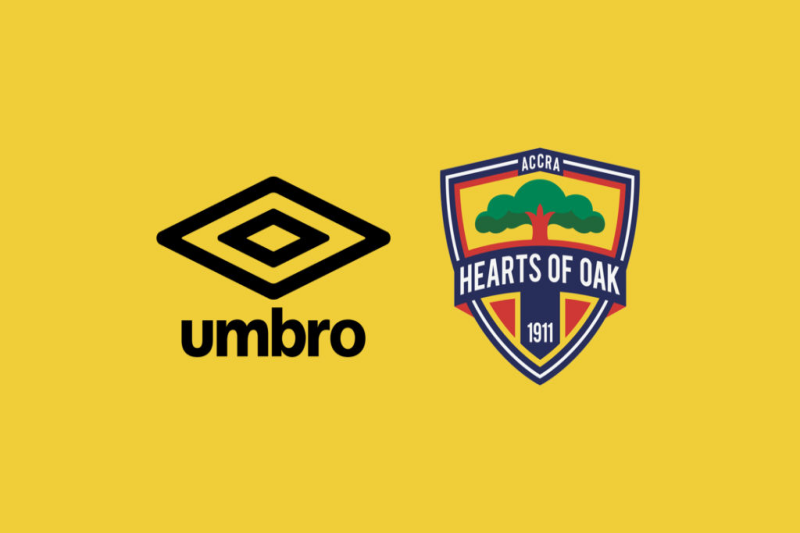 Hearts of Oak products will also be available for fans to purchase. Hearts chief executive Mark Noonan said it was an "incredibly exciting and important deal" for the club.